Vietnam is changing its laws on enterprises and investment to boost the ease of doing business in the country. The revision of the two laws, together with several others, is in-line with Vietnam’s newly revised constitution, foreign policy orientation and anticipated negotiations and signing of economic and trade deals in the coming time, said Minister of Planning and Investment Bui Quang Vinh. Addressing last week’s meeting of the National Assembly’s Economic Committee on the issue in Ho Chi Minh City, Vinh said after more than eight years of enforcement, the two laws showed inadequacies and needed amendments to create a more transparent business environment and provide a level playing ground for all enterprises. One of the new points in the draft amendment to the 2005 Law on Enterprises is the introduction of the concept of a social enterprise, or non-profit business. Dr Nguyen Dinh Cung, director of the Central Institute for Economic Management told VIR this addition would enable social enterprises to operate more efficiently because they were dedicated to social development purposes such as eradication of hunger and poverty, environmental protection, and supporting vulnerable groups in society. He added that more than 200 such enterprises were operating in Ho Chi Minh City and Hanoi, with their activities mainly focused on education, training, health care, and environmental protection. Cung, one of the authors of the revised Law on Enterprises, said such organisations could make profit, but it must be re-invested and not distributed to stakeholders. He emphasised the importance of this distinction being recognised and legalised. This would bring them preferential policies that could promote their efforts in pursuing their social targets. He added that these preferential policies required better state management, and the draft amendments would better serve such management. Vinh stressed that the primary intention of the revised law was to provide both domestic and foreign investors with equal treatment in establishing enterprises and accessing the market. He added that the new law would help cut business management costs, and better protect investors and the legitimate interests of shareholders. “The Ministry of Planning and Investment (MPI) is taking in all ideas and suggestions on the amendments before submitting them to the National Assembly this October,” he said. Nguyen Van Giau, chief of the National Assembly’s Economic Committee said lawmakers would continue to receive suggestions and proposals for the revised law, especially on new points like social enterprises, regulations and state-run enterprises, and how to carry out the new Constitution’s Article 33, which states people can undertake any business activities not banned by the law. The amendments to the 2005 Investment Law cover investment activities in Vietnam and those from Vietnam to other countries, the rights and obligations of investors, investment policies, incentives and guarantees, and state management. Minister Vinh said the MPI was keen to end the issuance of investment certificates for foreign-invested projects in order to further simplify business procedures, despite some opposing the move. He added many foreign invested enterprises supported the idea of removing such certificate, but those opposed were keen to maintain the practice as they believed the paper could help them maintain investment incentives, access bank loans and rent land. However, the MPI was committed to the abolition of the certificate except in four cases – sensitive areas of the economy such as banking, projects likely to use huge land areas, investments at risk of polluting the environment and those that need the documentation to get investment incentives, bank loans and land. 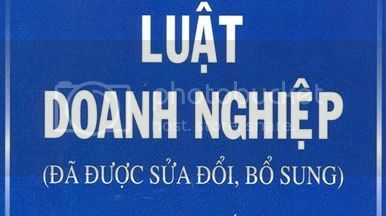 Meanwhile, under the new law the Vietnamese government would tighten regulations on outbound investment by Vietnamese companies. Many participants at the meeting said that after the Vietnamese government issued an outbound investment certificate to a local company, state agencies were not aware of what they were doing overseas. Minister Vinh said the removal of outbound investment certificates could be risky and the management roles of the central bank and the Ministry of Finance have to be improved.